WOWCAST BLOG: BT High and Bye? 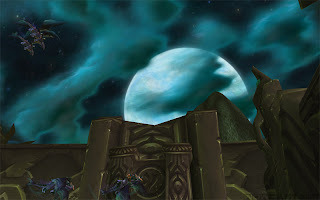 Well my guild has just downed Illidan so you must be quite close to where we are. However you have a couple of problems coming up. Archimonde is a horrible fight that requires precision timing form everyone. Seriously, you just can not be carried in there. I did it about 3 times and gave up. My guild have gotten him 3 times now but I doubt I'll ever see it happen. Then in BT Reliquary of Souls is a pig too. Assuming you get through that Illidan needs an on game tank. It's not down to the healer its down to the tank in that fight. You can only bully your way through so much raiding. Fortunately for us our two main raid leaders keep our GL on a tight leash but to do well you have to have a good attitude. That includes people doing what they are told and being honest about why they died. What many people will weigh up right now is that the new expansion is only months away and is any of this really worth it? 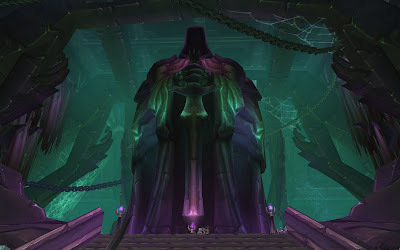 I'd rather be consolidating small personal relationships that are going to matter when you are LFM when you hit the first dungeon on day 1 of the Lich King. (yes it is that close to entering the new zone). After that you are going to need good friends to get you and your many alts to 80 and have fun doing it. 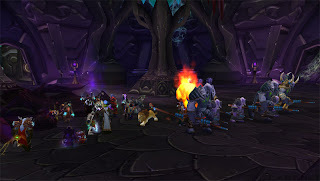 A raid party wont help you level and they will no doubt split of into like minded groups of their own. Come the next end game you may feel different but right now I think friendships that are going to be helping you get to 80 are more important than a slim chance at some loot.